The stunning conslusion of worldwide phenomenon—from the boldly original author of Captive Prince and Prince’s Gambit. His identity now revealed, Damen must face his master Prince Laurent as Damianos of Akielos, the man Laurent has sworn to kill. On the brink of a momentous battle, the future of both their countries hangs in the balance. In the south, Kastor's forces are massing. In the north, the Regent's armies are mobilising for war. Damen's only hope of reclaiming his throne is to fight together with Laurent against their usurpers. Forced into an uneasy alliance the two princes journey deep into Akielos, where they face their most dangerous opposition yet. But even if the fragile trust they have built survives the revelation of Damen’s identity—can it stand against the Regents final, deadly play for the throne? 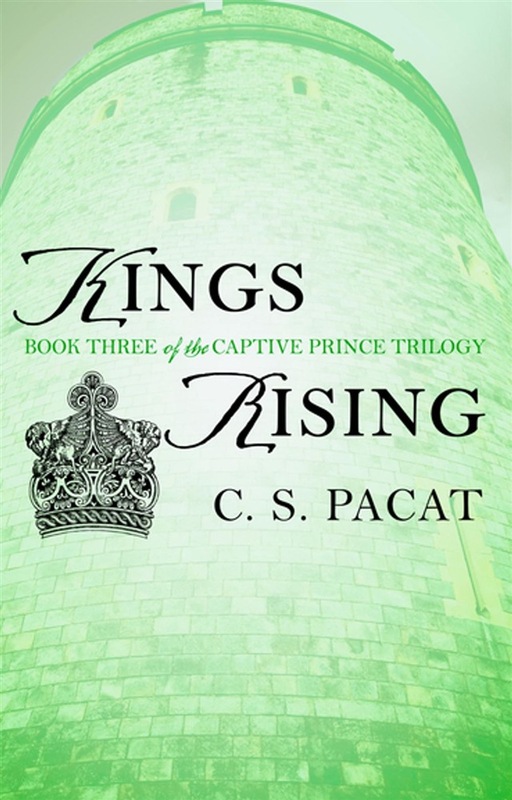 Acquista Kings Rising in Epub: dopo aver letto l’ebook Kings Rising di C. S. Pacat ti invitiamo a lasciarci una Recensione qui sotto: sarà utile agli utenti che non abbiano ancora letto questo libro e che vogliano avere delle opinioni altrui. L’opinione su di un libro è molto soggettiva e per questo leggere eventuali recensioni negative non ci dovrà frenare dall’acquisto, anzi dovrà spingerci ad acquistare il libro in fretta per poter dire la nostra ed eventualmente smentire quanto commentato da altri, contribuendo ad arricchire più possibile i commenti e dare sempre più spunti di confronto al pubblico online.